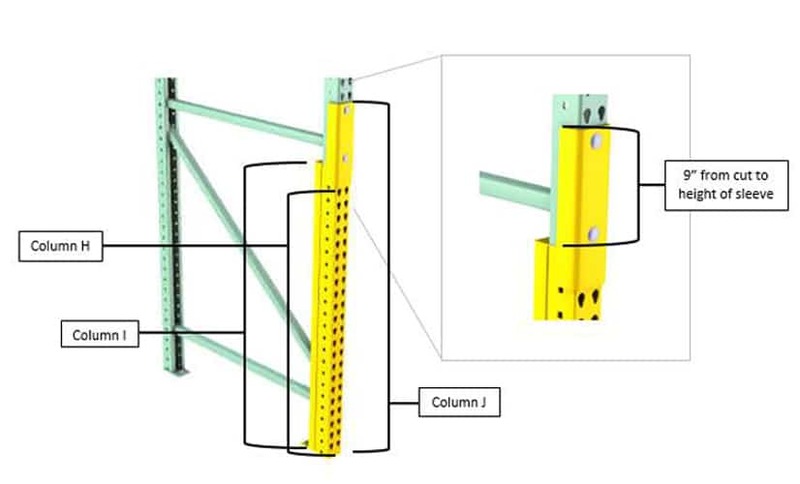 After reviewing, the company went ahead with the nine most urgent rack repairs, that included seven (7) single column rack repair kits and two (2) replacement frames. 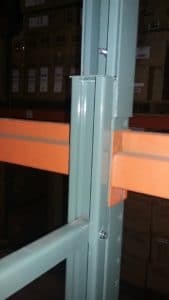 The two frames that were replaced were damaged beyond repair and could not support any reasonable load capacity without posing a danger of collapsing. 1. 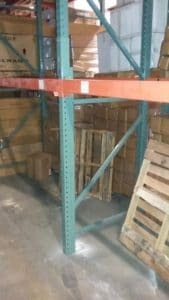 Pallets on floor and first beam level were removed for the rack repair, all other levels were able to remain loaded. 2. REB attached the rack-lifting jack, removed the anchors and removed the damaged portion of the upright. 3. The channel was inserted, clamped and bolted into place. 4. The rack-lifting jack is removed and the inventory is replaced. 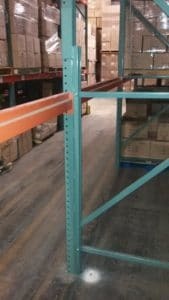 The once damaged rack that was repaired by REB now complies with all ANSI/RMI rack safety regulations, making daily operations safe. Are you in need of rack repair? If you have any indication that you’re racking is impaired, it’s time for a professional inspection. 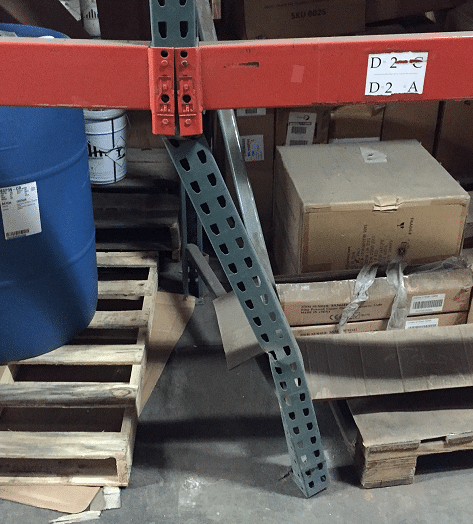 Fill in the contact form or call REB Storage Systems International at 800-252-5955 to schedule an appointment with one of our safety and repair specialists who can perform an inspection of your warehouse. You’ll be provided with repair and ongoing protection recommendations. At your request, you’ll receive a proposal and a corresponding scope drawing for these services. 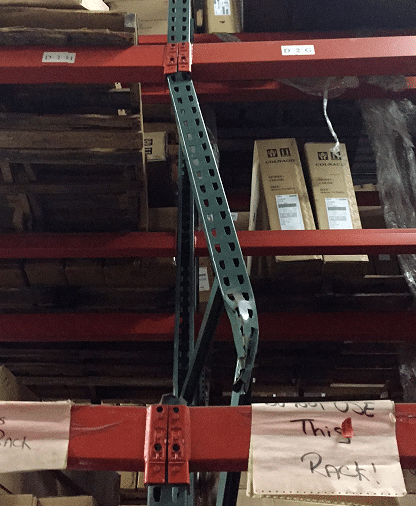 To learn more about how to identify unsafe racking conditions, visit our rack safety inspections page.